Securing top-notch talent is vital to operating any successful organization. According to research, millennials projected to make up more than half the workforce in two years, and roughly 75 percent by 2025, employers looking to attract and retain top-notch talent need to better understand what motivates the generation born between 1980 and 2000. 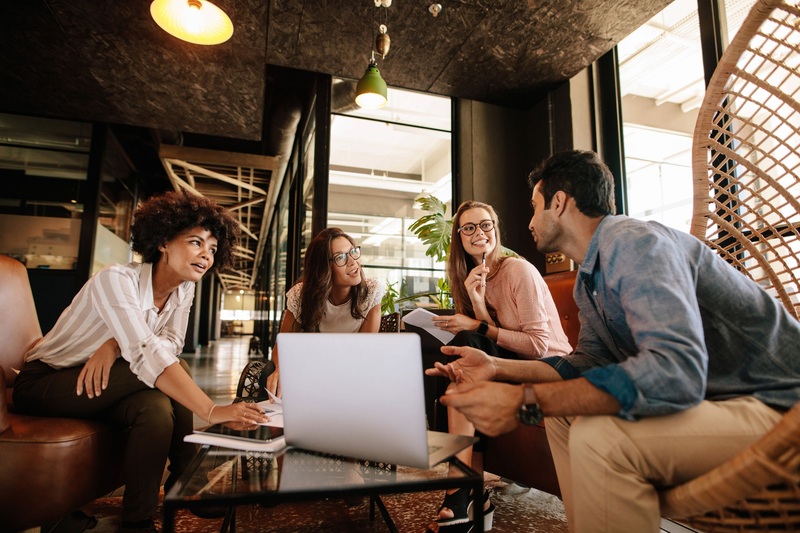 To stay ahead of the curve, organizations are focused on creating spaces that speak to millennials’ desires, while fostering productivity, efficiency, connectivity and community. However, as research has shown, many of the preconceived notions about millennials and what they want in the workplace is misinformed and, in fact, their desires are a lot more like previous generations than some may think. CBRE’s report, Millennials: Myths and Realities, which surveyed 7,000 CBRE staff members and 13,000 millennials from 12 countries, found that while much has been made of millennials’ supposed tendency to switch employers regularly, the majority—62 percent—would ideally prefer to change jobs as infrequently as possible. Those surveyed shared similar attitudes about the value of longevity at the workplace as previous generations. In other words, if employees have a job that challenges them, offers professional development and provides them with advanced skills, they’ll be more likely to stay in that position indefinitely. That belief rings true for top talent too. If their skills are being utilized and they’re being properly compensated, they’re inclined to stay put, according to Gallup Research. However, employers can’t take employee loyalty for granted—especially not in this digital age where finding opportunities elsewhere is more accessible and easier than ever before. The notion that millennials expect to start at the top, as opposed to working their way up the corporate ladder, isn’t accurate, according to the report. While some may move on quickly if their needs aren’t being met, many are realistic when it comes to their expectations. Many may assume that blending work with leisure might be mandatory for millennial workers, but they’d be wrong—they have boundaries. For example, slightly more than half of the millennials surveyed agree with the statement, “work and leisure should be entirely separate,” while less than a quarter disagree. While technology has numerous workplace benefits, many millennials feel like it can be intrusive when it comes to their personal lives. Therefore, employers need to acknowledge and enforce work-life balance so that technology doesn’t intrude on employees’ lives after work. Generally, millennials appear to highly value the quality of their workspaces, with nearly 70 percent of those surveyed in the CBRE report saying they would make various trade-offs to secure a better workspace. In some cases, those trade-offs were significant. For instance, 7 percent said they would take a modest pay cut in exchange for a better office environment, while 8 percent said they would compromise their promotion prospects. But don’t think they’re clamoring for open-plan collaborative workspaces. In fact, only a third of those surveyed expressed a preference for those kinds of offices. Surprisingly, two-thirds aspire to have a personal office. This aspiration for a personal office is likely because millennials want what they know to be favorable and can’t envision a different way of working that can give them the same privacy. It is more important to give employees a choice of places to engage in collaborative work, private focused work or even leisure activities that suit their workstyle, versus simply providing them a dedicated private office. Whether top performers prefer to work in collaborative spaces or in corner offices, the fact remains that employees who have more control over their work environment thrive and create higher levels of engagement. Meanwhile, 21 percent said they would accept a longer commute in exchange for a better office environment, while 23 percent said they would move to a smaller or less well-known company. One millennial stereotype that does appear accurate, at least at first glance, is the generation’s preference for urban centers. Some 75 percent of millennials surveyed work in large towns or cities, while less than 10 percent work in business parks or rural settings. A closer look, though, suggests that here, too, millennials are more open and flexible than they are thought to be. More than half surveyed—55 percent— said they find small or medium-sized towns either “fairly” or “very” appealing, compared to 63 percent that said the same for cities. As the CBRE report notes, this could represent an opportunity for employers located outside major city centers, particularly given that suburban and small-town locations are likely to offer lower costs of living. Cracking the code on how to best motivate millennials in the workplace isn’t exactly rocket science, but it’s not necessarily a piece of cake either. In just two years, this often misunderstood and underestimated generation will comprise approximately half of the world’s workforce. That means that, very soon, millennials will become a formidable, lasting force in the working world. Location strategies, workstyle and workplace design are rapidly changing, and those employers who adapt to the growing needs and desires of their workforce will reap the benefits.